Selected as a Subject matter expert for two of the three test writing companies with nationally approved certification exams. 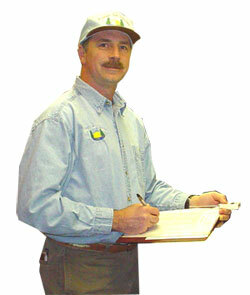 First ever Registered Trainer for the National Environmental Health Association. Top of list for trainers in Minnesota. HACCP Food Safety System plan development can take a lot of time to develop if you try to do it yourself. Rob Carper brings a unique blend of experience to the table. He has over thirty (30) years of food safety experience involved in the evaluation and development of HACCP Food Safety Systems in seafood, meat, and food processing plants. He also has been successful in applying HACCP to the wholesale (Fish, Juice, Dairy & Meat plants), retail (Grocery stores/meat markets), institutional (Schools, hospitals, Nursing Homes, Group Homes, & Volunteer Organizations, etc. ), and private food service (Restaurants) industries to gain compliance with regulatory requirements, reduce liability risk, & most importantly - help you consistently serve safe food to your customer.